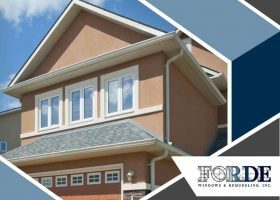 window panes Archives - Forde Windows & Remodeling, Inc.
Apart from providing a great view of the outside and letting your rooms breathe, windows also have to be capable of forming an airtight seal when they are fully closed. This is because failed window seals can affect your home’s energy efficiency. Watch out for these telltale signs that your windows’ seals are failing so you can get help from window installation services experts like us ASAP.